In this thrilling volume, the rabbit ronin teams up with--and faces off against--a multitude of unexpected characters! First, bandits plunder a village threatened by flooding . . . but their reasons for pillaging will surprise even the most steadfast! Then, Usagi must work alongside his natural enemy--a Kappa--to cast out a violent renegade of the same species. Later, a Komori ninja must honor her debts when she and Usagi end up on opposing sides of a trade agreement gone wrong. Finally, Inspector Ishida returns to investigate a ghastly painting known only as the Hell Screen! 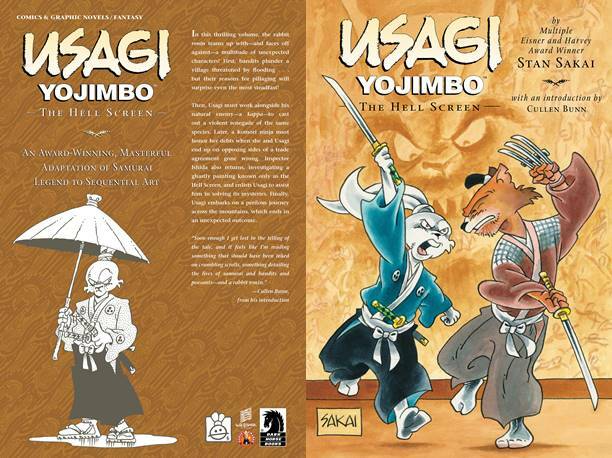 Collects Usagi Yojimbo issues #152-#158.